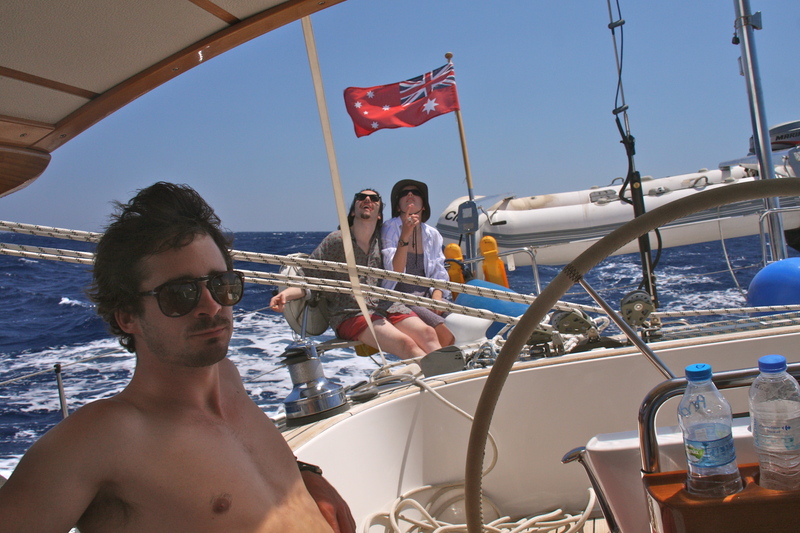 Another much anticipated event of the season was to have Andrew, Emily and Jack join us on Sea Cloud. 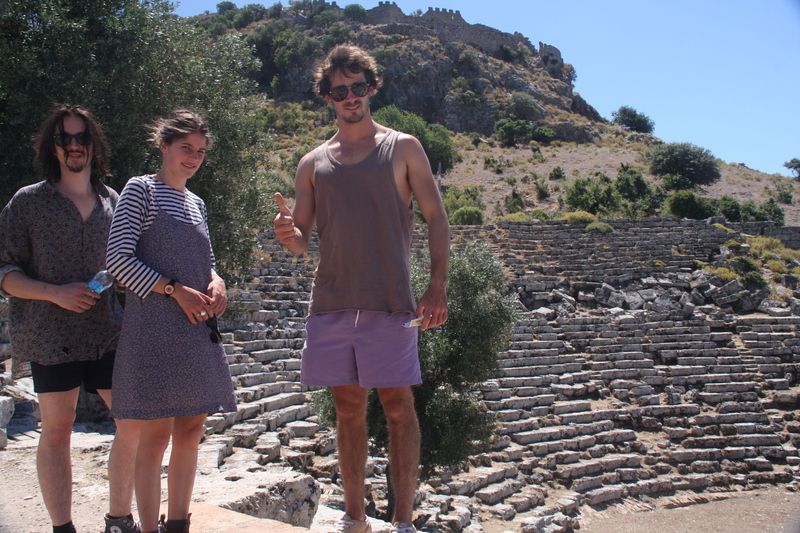 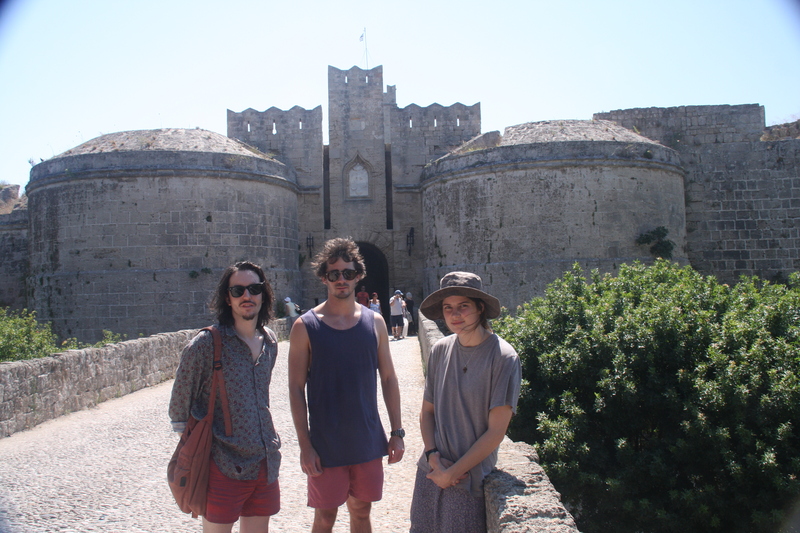 The plan was to meet them in Rhodes, Greece (for a bit of history and culture) then sail across to Turkey where we had picked out our favourite places and events for them to experience. 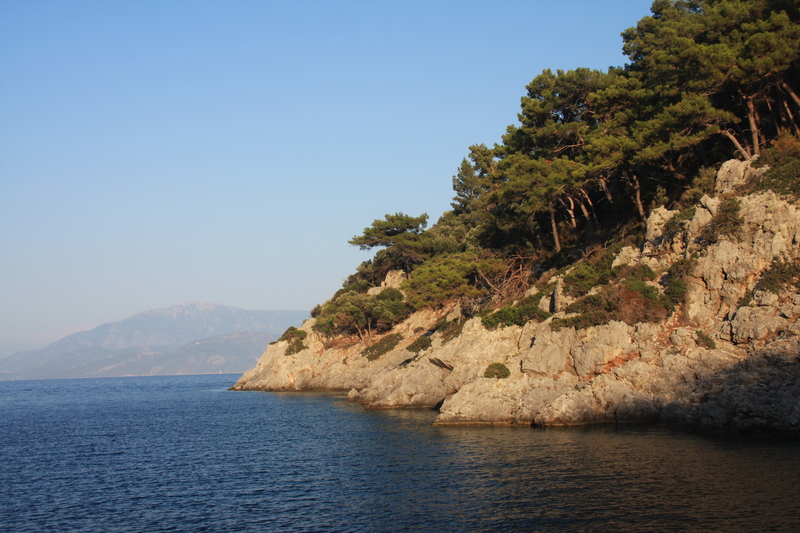 On our way to Rhodes we had a night in Tilos, a lovely small, unspoilt island. 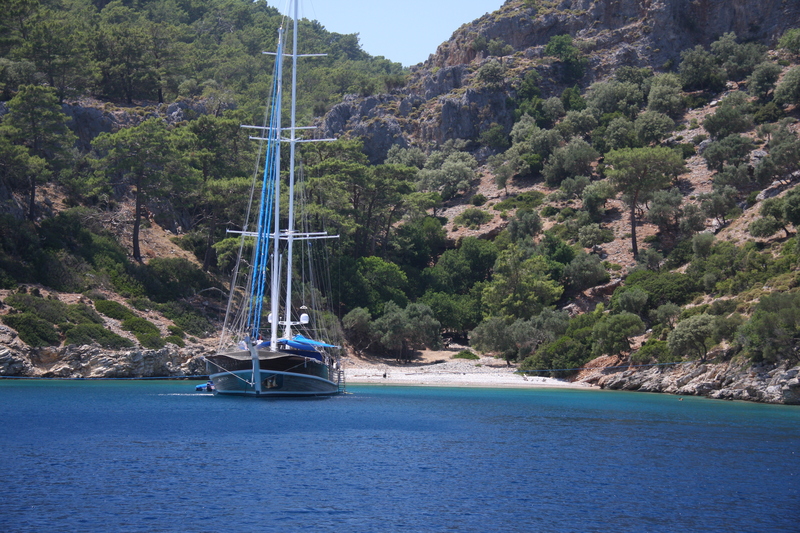 The small harbour was really well organised by their female harbourmaster. 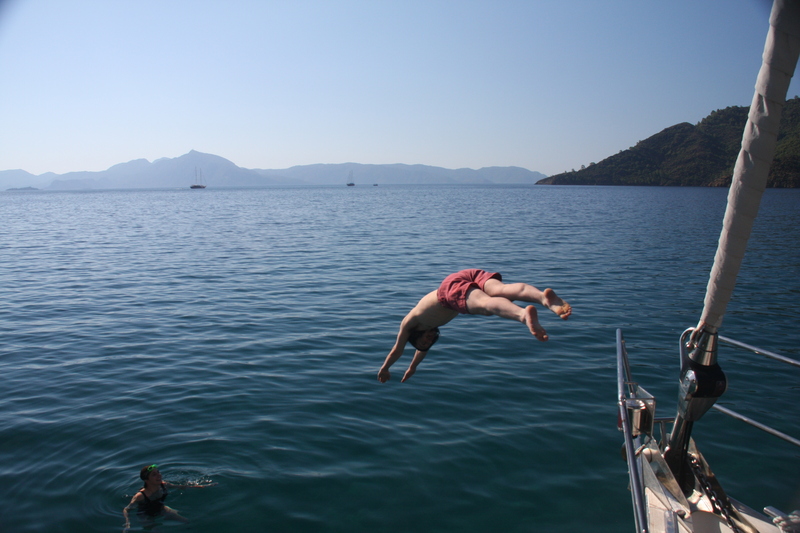 A refreshing change for Greece! 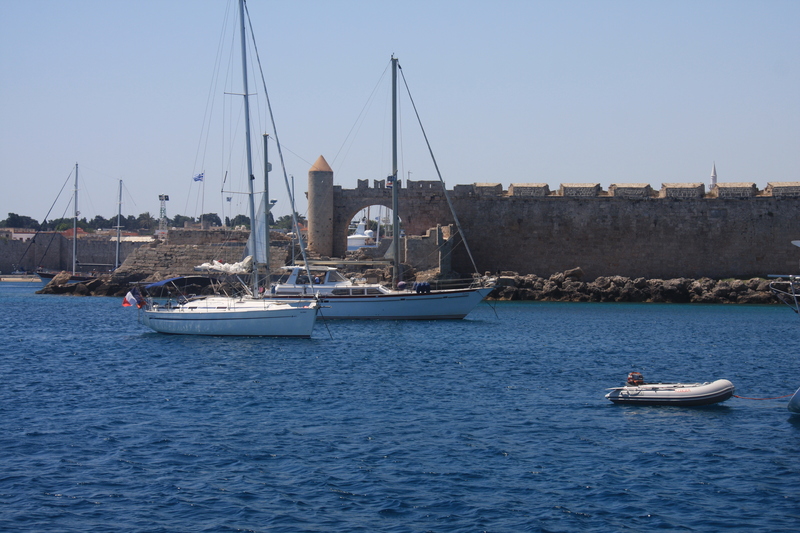 It was great to anchor in the bay at Rhodes, just outside the city walls. 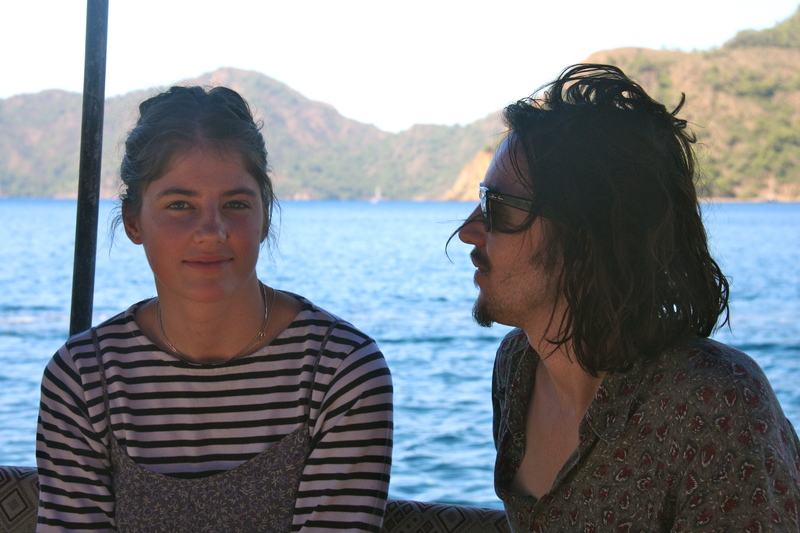 The kids arrived late at night, waking the next morning to the view of this wonderful city. 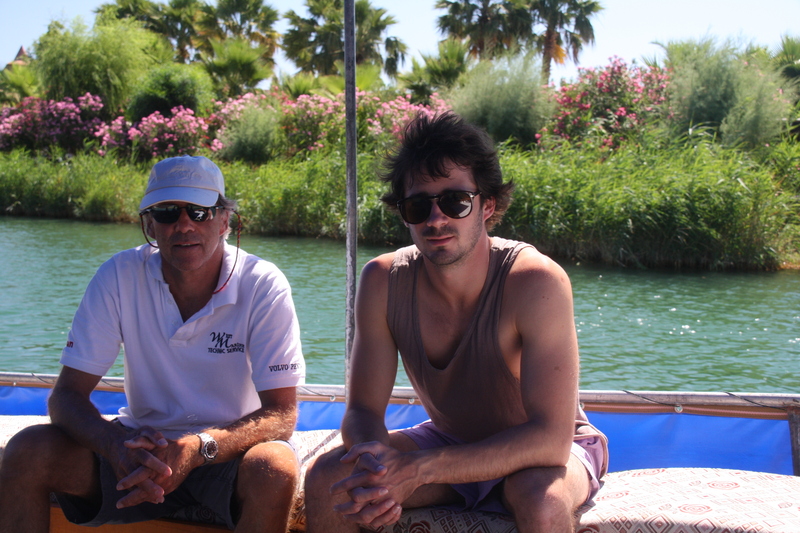 Ian acted as tour guide for the morning while I performed the check out formalities. 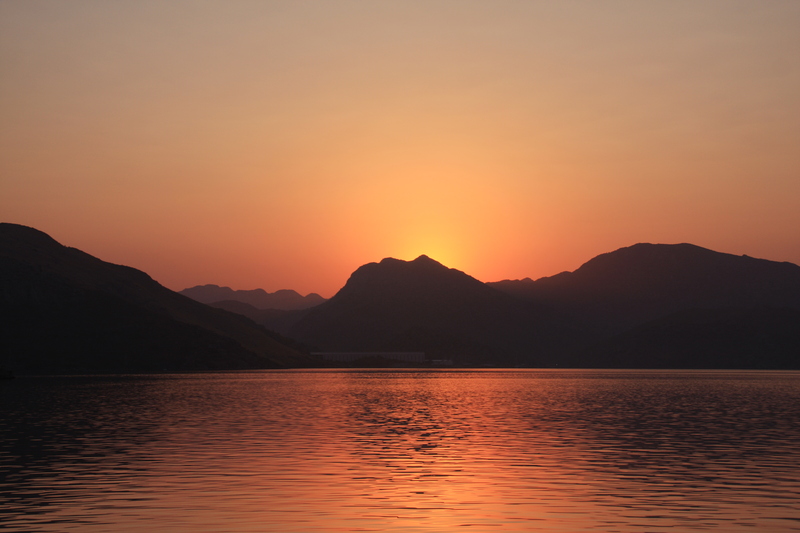 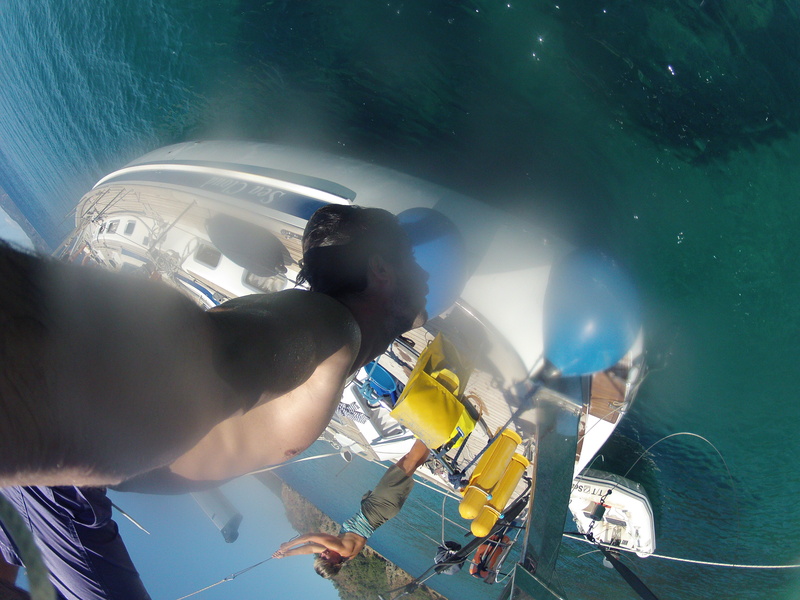 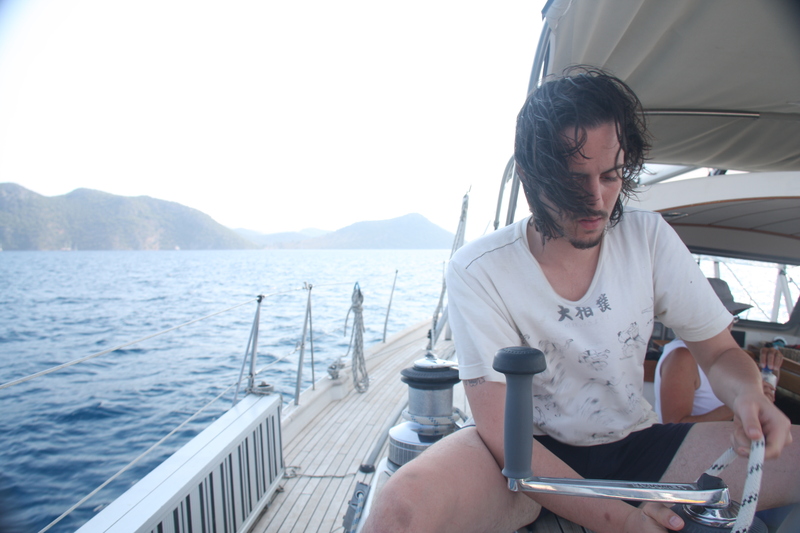 As it was Jack’s first time sailing, we had been worrying about sailing the stretch between Rhodes and Marmaris, as the swell and winds can be rather nasty. 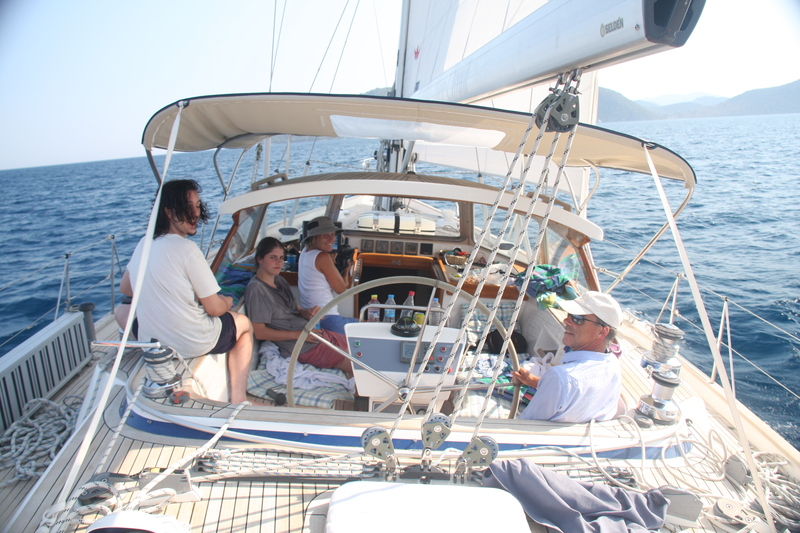 He coped admirably, it was a great sail, with winds around 20knots on our beam for the rather fast sail across to Ekincik. 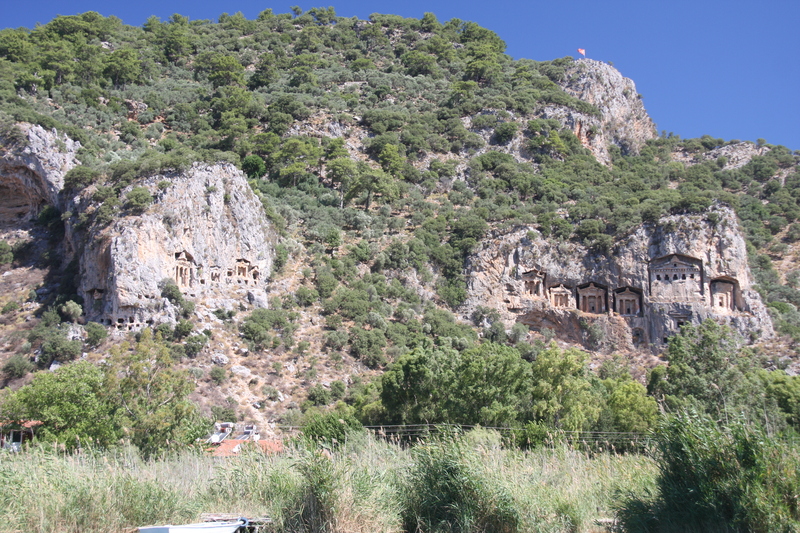 Their first experience of Turkey was a boat trip up the Dalyan River, to see the turtles, the rock tombs and the ancient town of Caunos. 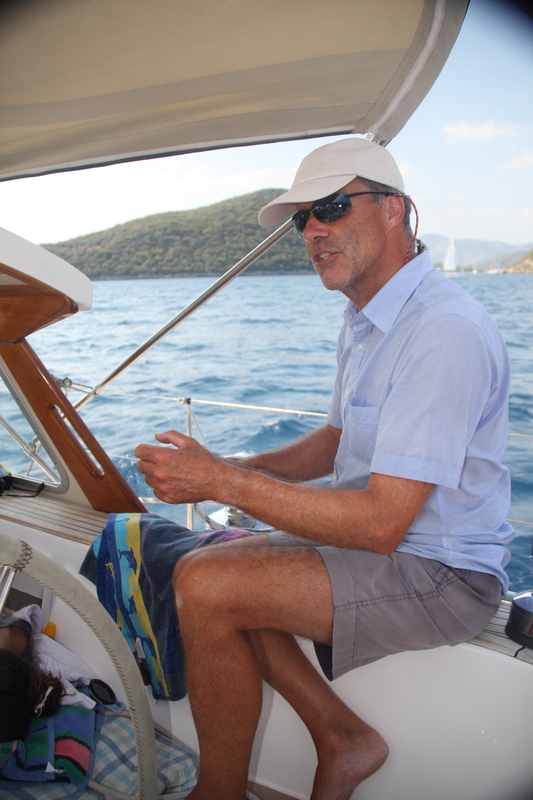 Good breezes between Ekincik and Fethiye gave Jack the opportunity to sail the boat under Ian’s instruction. 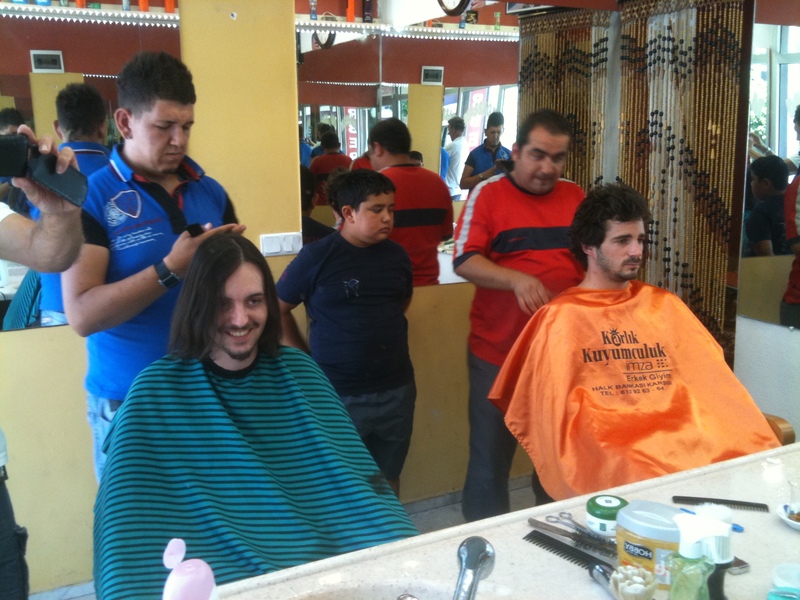 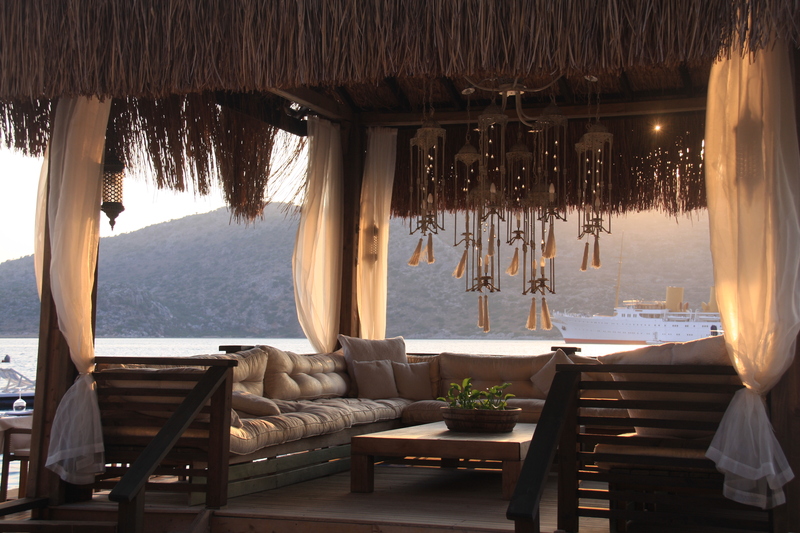 A visit to Turkey would not be complete without a visit to a Turkish barber and a hamam, a great experience for all. 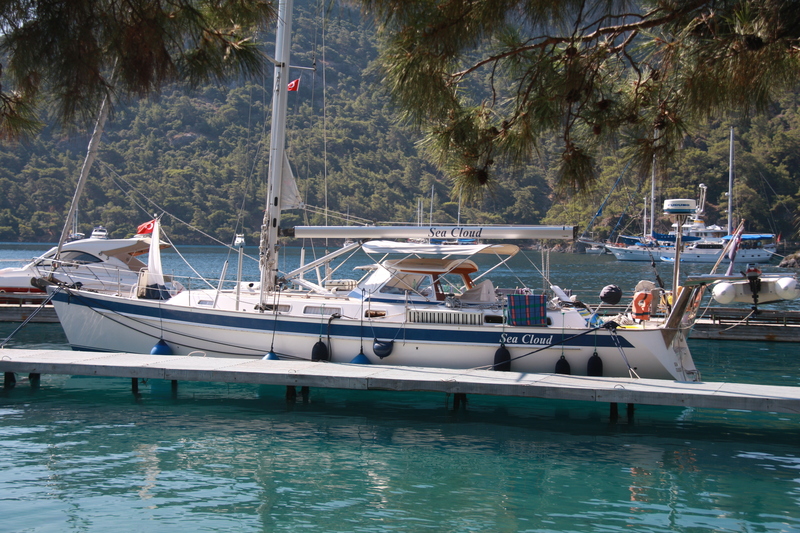 The small Yacht classic hotel marina was a pleasant base for a visit to Fethiye. 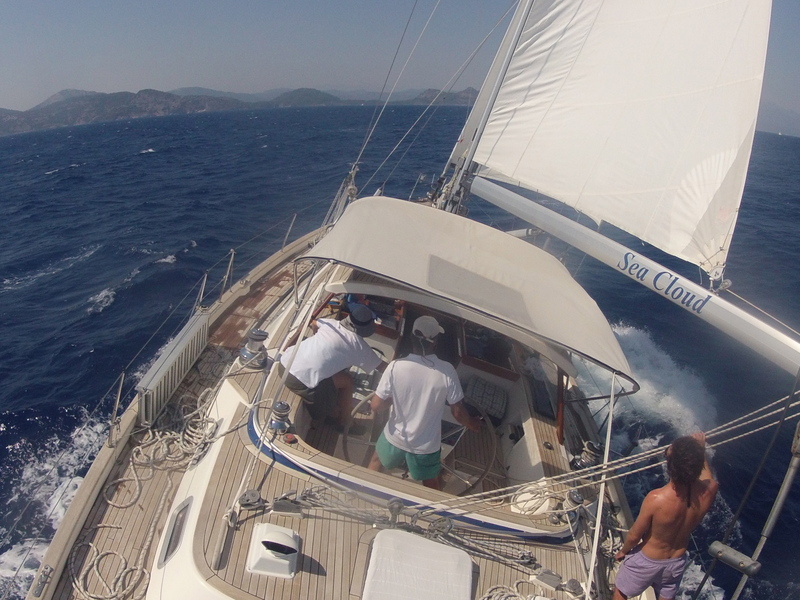 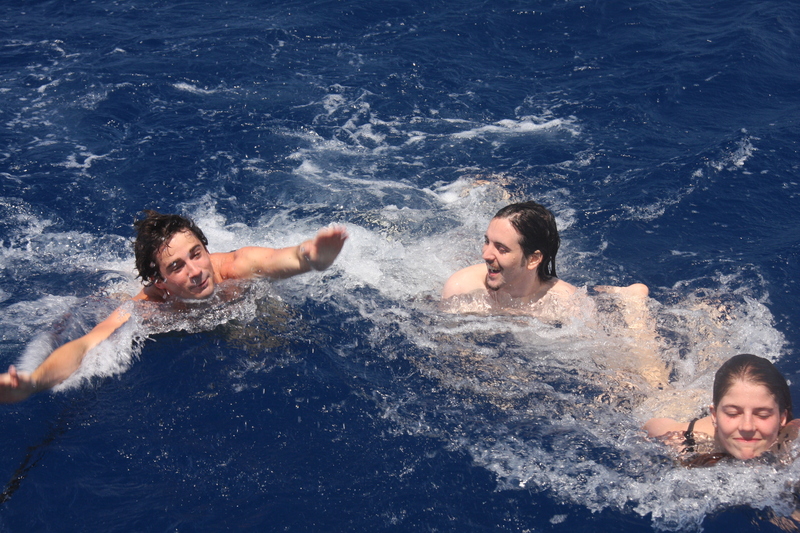 Dragging behind the boat was a great way to cool down on a hot day with no wind on our way to Oludeniz. 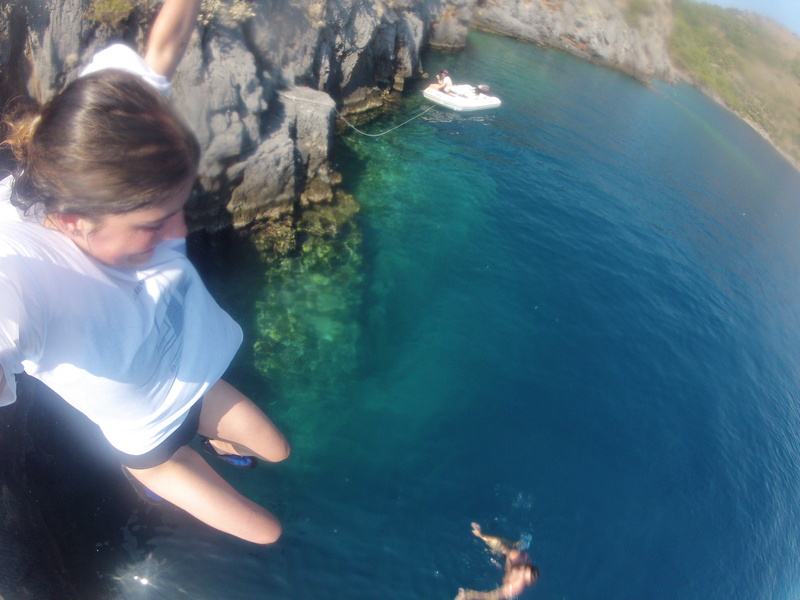 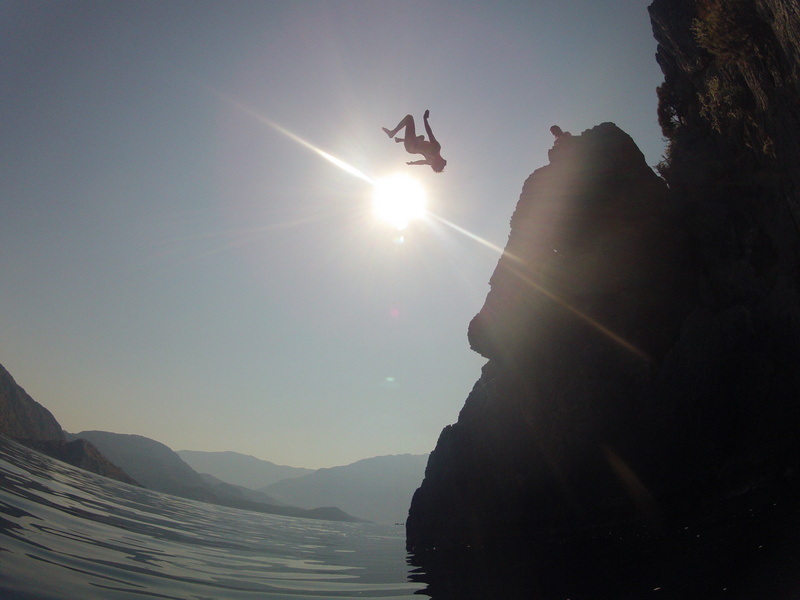 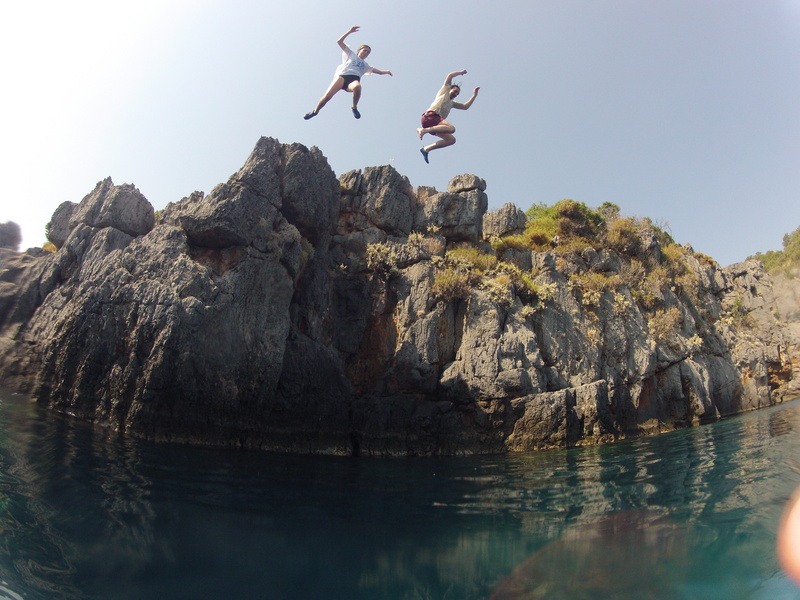 Diving off the boat and jumping off high rocks were favourite past times – seems nothing has changed since the Andrew and Emily last sailed with us in 2003 when they were nearly 10years younger! 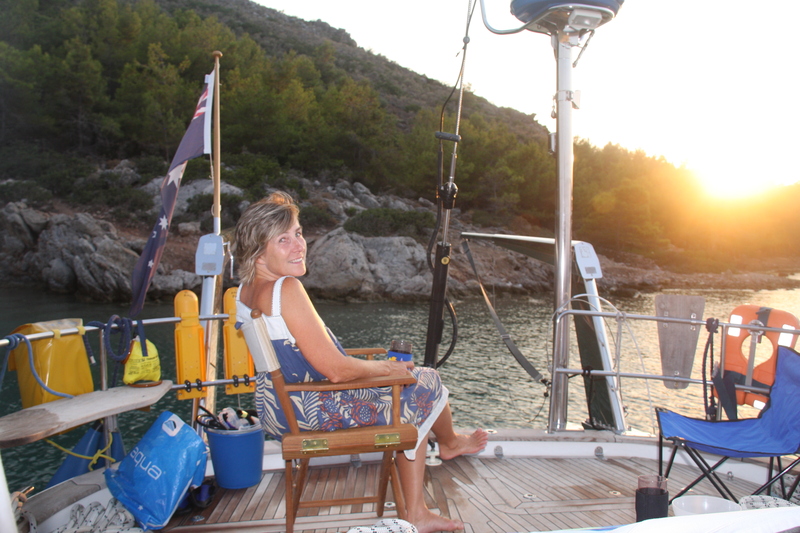 The isolated bay in which we anchored had regular visits from the couple making gozleme and beautiful sunsets and sunrises. 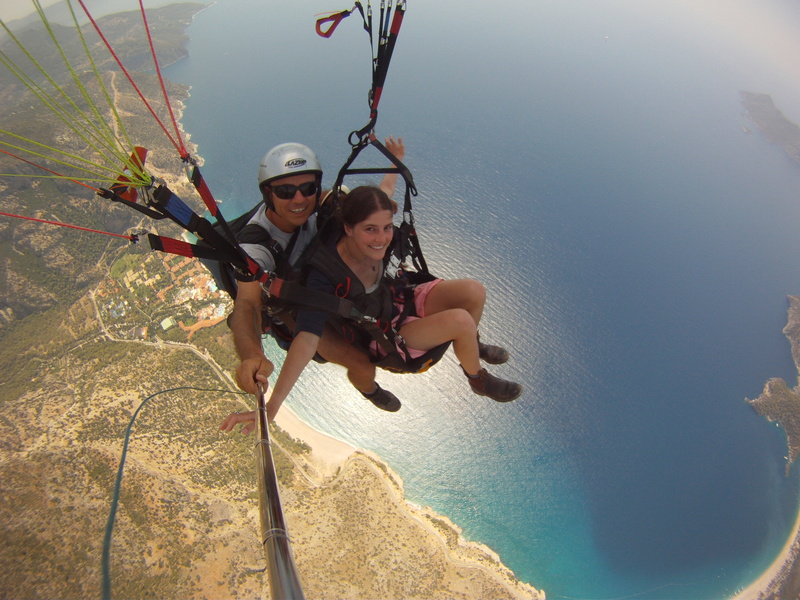 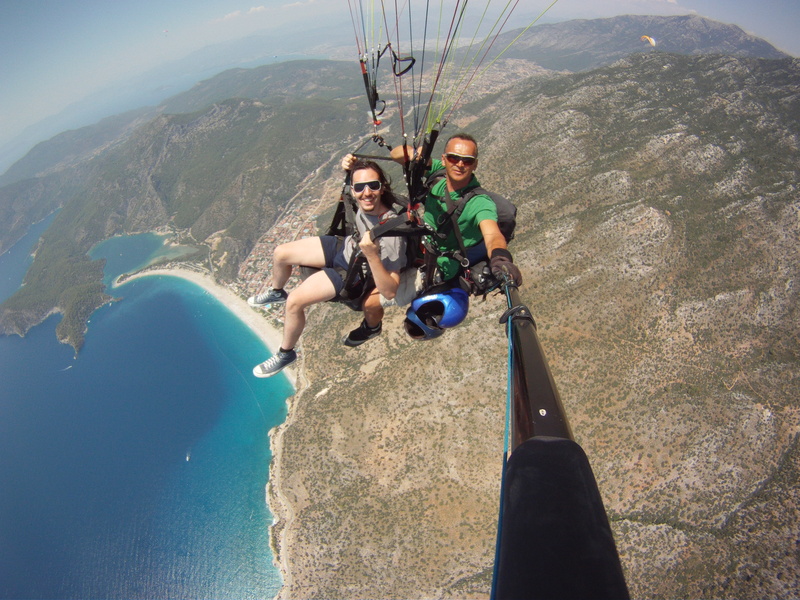 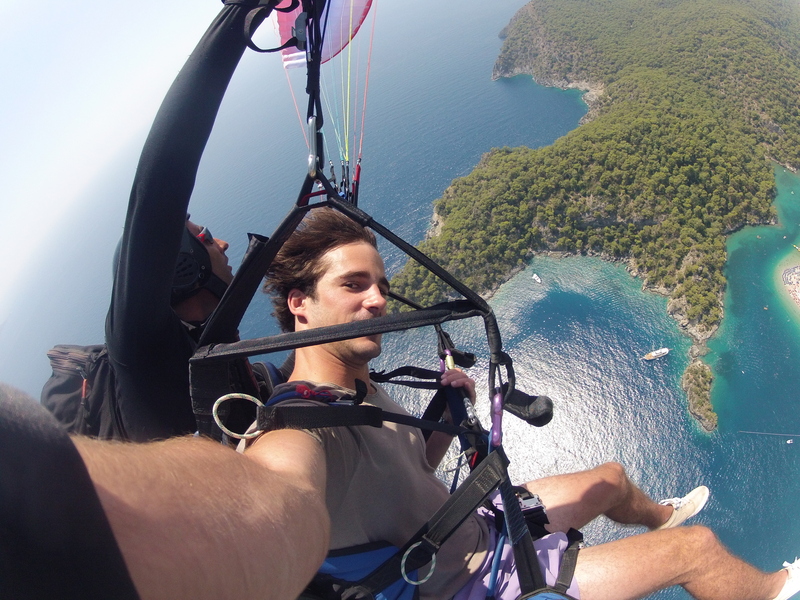 Andrew, Emily and Jack enjoyed paragliding at Oludeniz as much as we had last year. 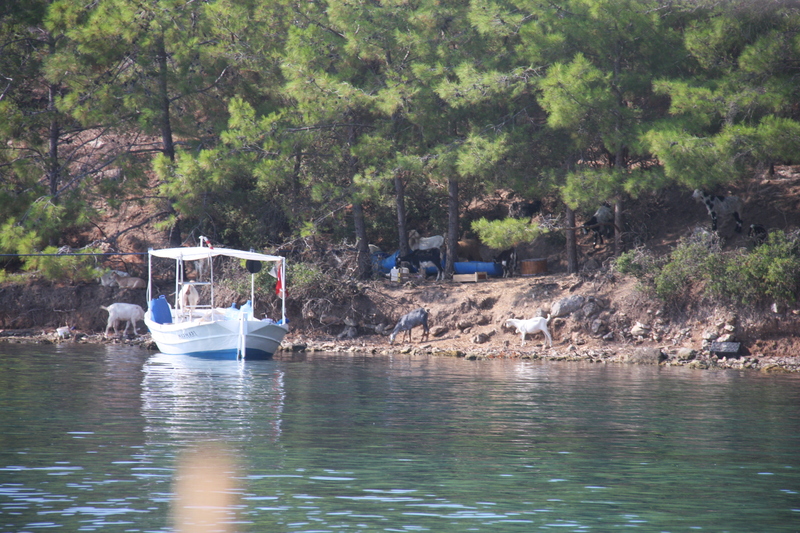 Our last few days before Emily and Jack headed for Berlin were spent in Fethiye Bay, where they even found some rabbits like Dolly on one of the islands! 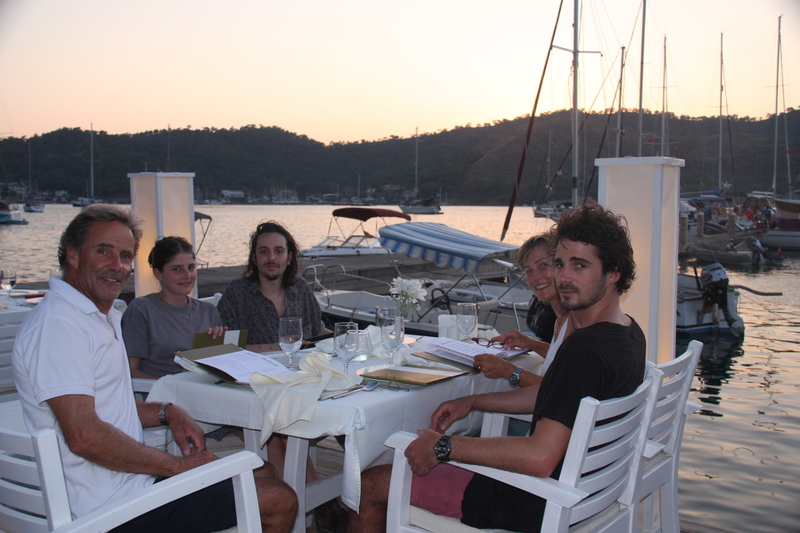 As Andrew was leaving us in Marmaris a few days later, we had time to find some wonderful anchorages and for father and son bonding (this was a good day). 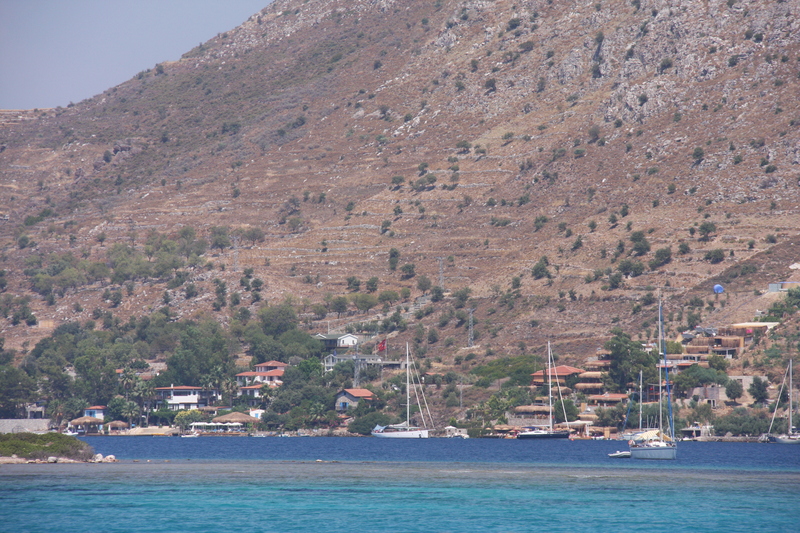 The afternoon winds in Fethiye Bay were surprisingly good, especially as the wind forecast was never for more than about 8 knots in the area. 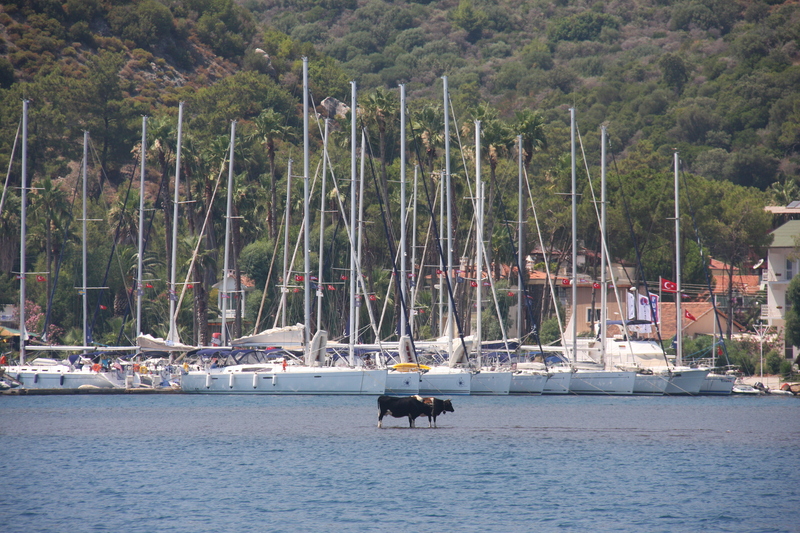 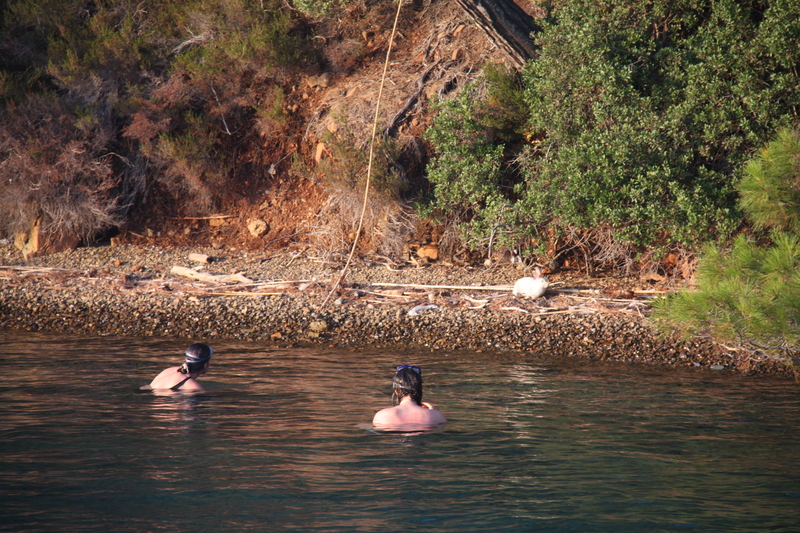 Temperatures in the high 30’s meant that even the cows in Marmaris bay take to the water. 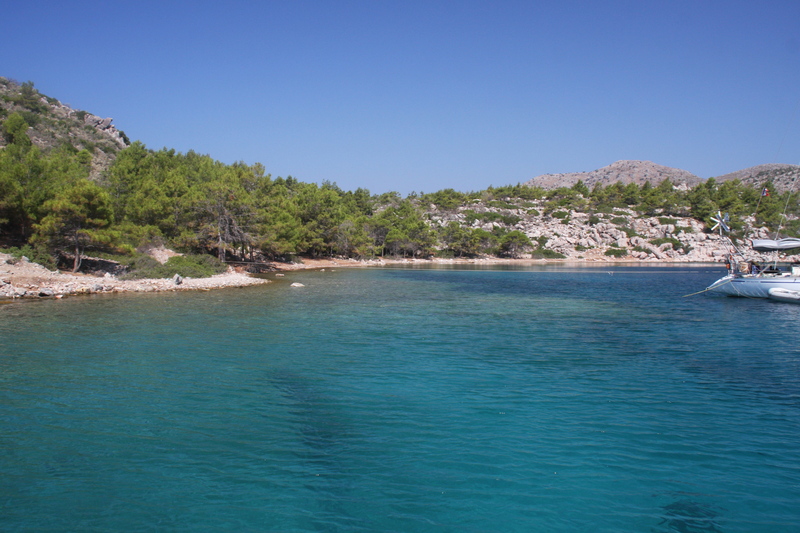 The aim of our last 2 weeks left before heading home was to find relatively uncrowded bays (if possible in July) where we could swim, relax and get some jobs done. 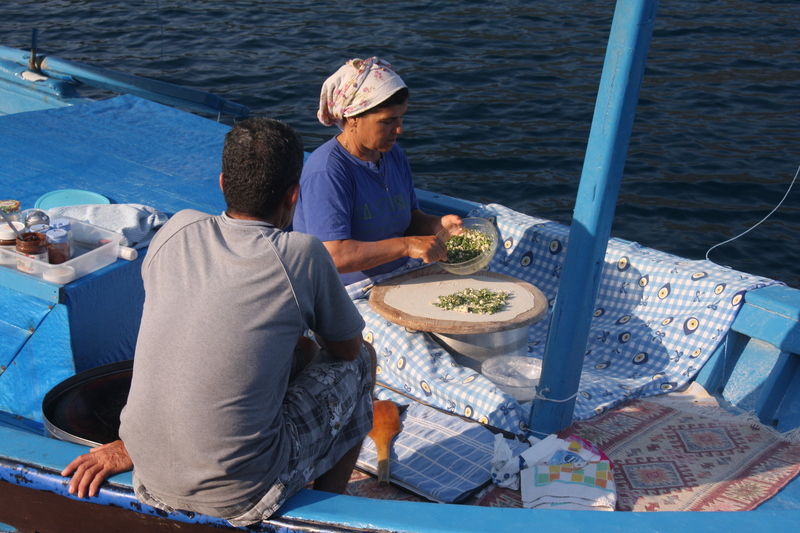 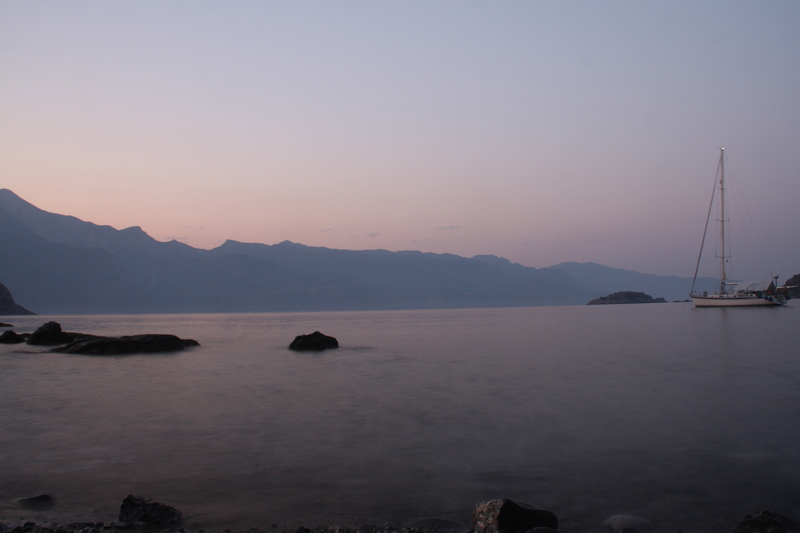 Kiseli Adasi, near Bozburun was ideal with its crystal clear water, enough breeze, relative peace and quiet, daily deliveries of fresh bread, and of course a herd of goats on shore. 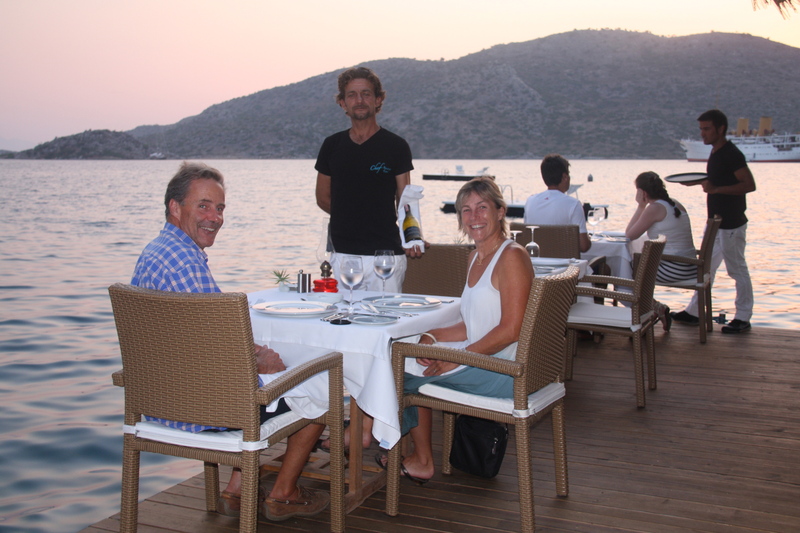 The nearby Sabrina’s Haus was a lovely spot for a special dinner.